Azure Ultra features as part of an award-winning portfolio of luxury lifestyle products created by Azure, a European market leader in the vacation ownership industry with over 10 years of experience in Malta alone. Developed in line with Azure’s innovative premium holiday product offering, Azure Ultra has completely revolutionised yacht ownership as we know it. 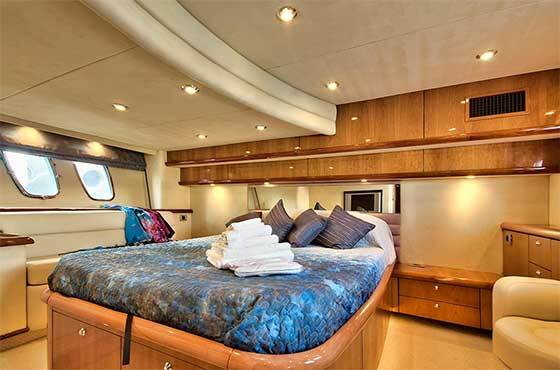 Through its unique fractional ownership programme, Azure Ultra provides realistically affordable alternatives that place the high life on board a luxury Sunseeker within easy reach of aspiring yacht owners, while guaranteeing a splendid hassle-free time at sea. Within just 12 months of its initial launch, Azure Ultra has been named Europe’s Leading Fractional Yacht Ownership Programme by industry experts, FractionalLife.com. Azure Ultra is an innovative programme that takes all the hassle out of yacht ownership, thanks to a smart co-ownership system which helps keep the costs low and your on-board experience stress-free. 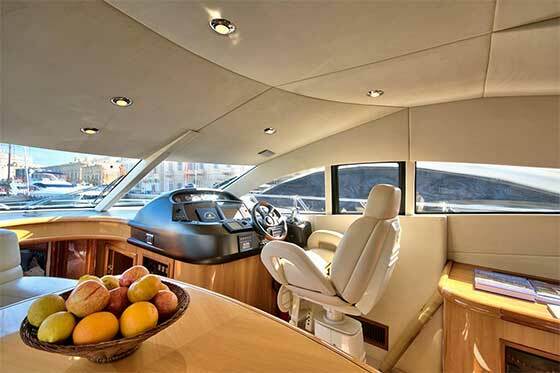 Its smart plan enables you to own a luxury Sunseeker yacht at a fraction of the full purchase price, without the headaches and expenses of running and maintaining it alone. Our fractional yacht ownership plan is all about indulging in the luxury boating lifestyle, offering a complete VIP experience on board. A top-class yacht management team, comprising a full captain and stewardess service, will take care of all the details and ensure you spend a memorable time aboard. Azure Ultra also offers flexible member-exclusive options, giving you the freedom to exchange your yacht usage with a choice of prestigious accommodations in prime locations around the world; as well as the possibility to charter your on-board entitlement, letting you generate income from your ownership plan. Azure Ultra also offers fantastic yacht chartering opportunities for the enjoyment of fine living on deck, with the Mediterranean coastline as a spectacular backdrop. Azure Ultra yacht charters combine five-star service with the iconic world-class elegance and comfort of the Sunseeker range, offering exceptional value-for-money packages and bespoke programmes for a memorable time aboard. 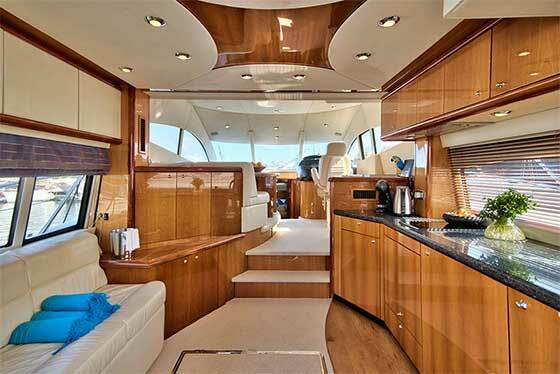 The Azure Ultra experience comprises stylish comfort and full VIP service on board a luxury Sunseeker. 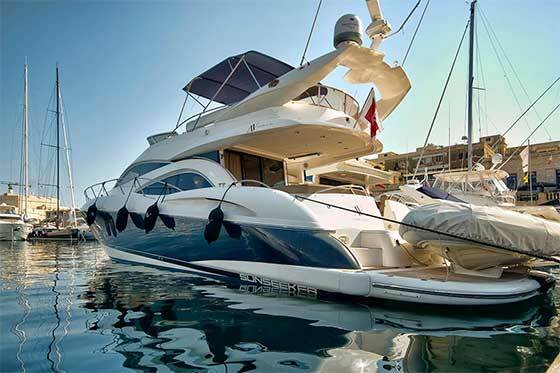 A top-class yacht management team – inclusive of captain and stewardess – takes care of all boat maintenance, operation and upkeep, and will ensure that all guests’ holiday requirements are catered for. 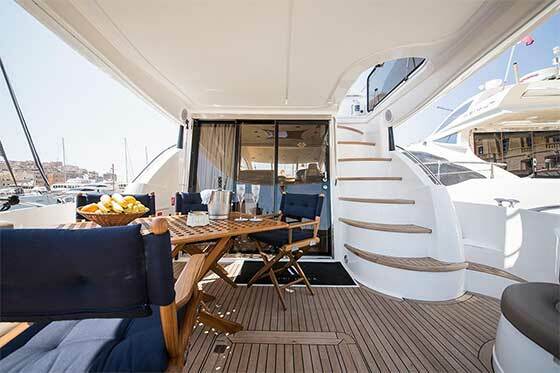 Offering a unique product and services within the world of luxury yachting, the Azure Ultra brand is therefore the obvious choice for anyone looking to indulge in the ultimate Mediterranean yachting lifestyle.